Wychwood Library was full to bursting on March 3rd when Canon Brian Mountford visited us to talk about his recent book, Christian Atheist: Belonging without Believing. 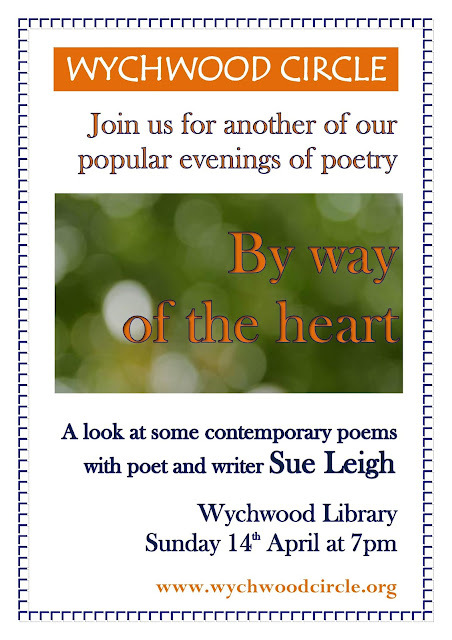 It was heartening on this Wychwood Circle's first anniversary, or very nearly, to see that this subject sparked such interest. Clearly many were tempted along who perhaps are not happy with the label ‘Christian’, but don’t feel comfortable with settling for ‘Atheist’ either and couldn’t help wondering if even a Church of England vicar might help them explore some common ground. One of the more controversial points made by Brian Mountford was to point out that Jesus didn’t say he was God. (The title ‘son of God’, by the way, was given to both Roman emperors from Augustus onwards, and, in other contexts, first-century miracle workers) Neither did Jesus pull the wool over his companions’ eyes by pretending that the earth was flat when he knew full well it wasn’t. There are dangers in anthropomorphising God (“he looked down on us, he wondered what to do next”) and also in divinising Christ (“he knew everything”). If Incarnation means anything it means Jesus was fully human, whatever other qualities may have been ascribed to him then or later. Clearly that debate is not over and we are still left to wonder, as Rowan Williams pointed out in a review of another controversial author, Geza Vermes, 'why this particular charismatic wonder-worker rather than others attracted the extraordinary claim that he was the vehicle of unconditional creative power and the enabler of a new kind of worship.' As the Wychwood Circle forum gathers again on April 7th at Wychwood Library, we will be beginning discussions based on chapters from the 2011 book by Rabbi Jonathan Sacks (someone who certainly does not believe that Jesus was God): The Great Partnership: God, Science and the Search for Meaning.